Hi! 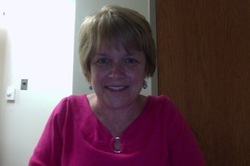 My name is Kathy Schmid and it is my privilege to be the full time school psychologist here at Ducketts Lane Elementary. I believe a child’s elementary school years are pivotal in creating a strong foundation for life-long academic and emotional well-being. I love helping children learn the strategies they need to grow and excel! It is an honor to work with children and families during this exciting period of their lives! My specific responsibilities at Ducketts Lane will include providing consultative and problem-solving support to staff and families, assisting with the school-wide Positive Behavior Interventions and Support programming, providing direct counseling for students and families, and conducting special education assessments and services. Outside of school, I am the proud parent of four grown children. I received my undergraduate degree from the University of Rochester and my doctorate from the University of Maryland, College Park. I have been working in the Howard County Schools for over 15 years and am excited to join the DLES staff and community as we begin this new adventure!